On Saturday night, I finally made it out to Arc Studios and Gallery, a two-story gallery and studio complex that opened in SOMA last year. In the large gallery downstairs, a national juried photography exhibit was on display, featuring a number of local artists. Upstairs in the "skylight" gallery is another photography exhibit, featuring works from the Bay Area Photography Collective. 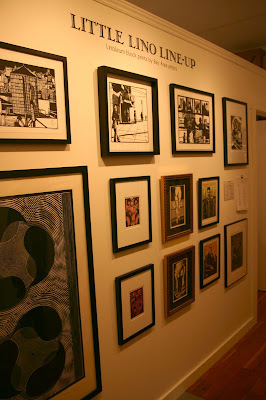 Both gallery shows will be on display through March 26. What was interesting about how the Arc space is set up, is that during the opening reception for the gallery shows, resident artists have also opened their studios and filled in additional wall space with their works. The result is an opening event that is one part gallery exhibition and one part open studios, with lots of varied work on display. Resident artist Mike Kimball has taken this a step further, operating MKSF Gallery out of his studio. 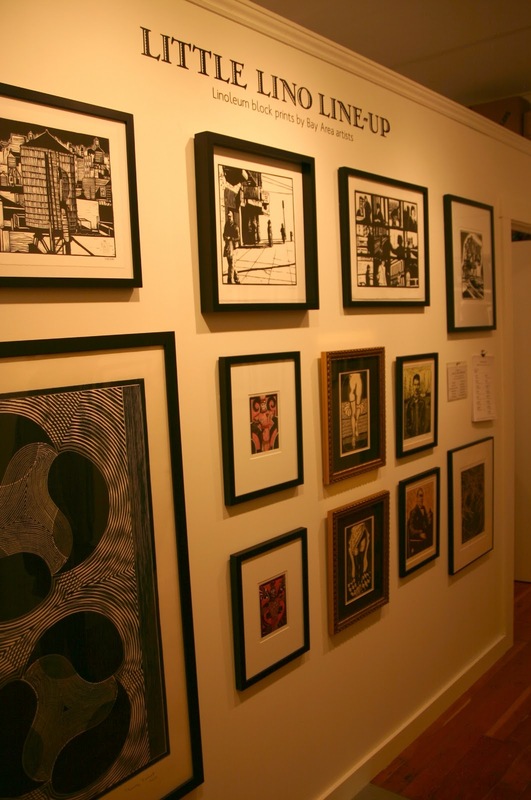 Focused on works on paper, the MKSF show on display during the opening was a selection of linocuts from Mr. Kimball's private collection, including works by Noah Dasho, Sarah Newton, and Katie Gilmartin. His next exhibit will be industrial scenes by himself and Eric Rewitzer, "Panamax", on Saturday, March 19 from 6-10pm. Given the additional works on display and artist studio access, opening events at Arc pack a great deal of art-per-visit and is well worth a visit. Follow the gallery's twitter feed at @ARCSF to stay informed of events. Also, for artists, the gallery is taking submissions for it's next juried exhibition, "Flow", until March 15.